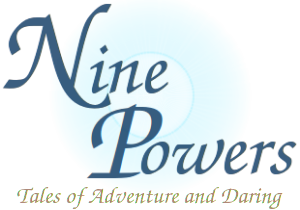 Welcome to Nine Powers (9P), a storytelling game of fun and memorable adventures. They build dungeons to protect treasure and offer challenge to bold adventurers. They sponsor contests to reward exemplifying their values. They choose champions to represent them. They give gifts to those who faithfully please them. They create monsters to serve them or their interests. They grant wondrous feats to some of their followers. 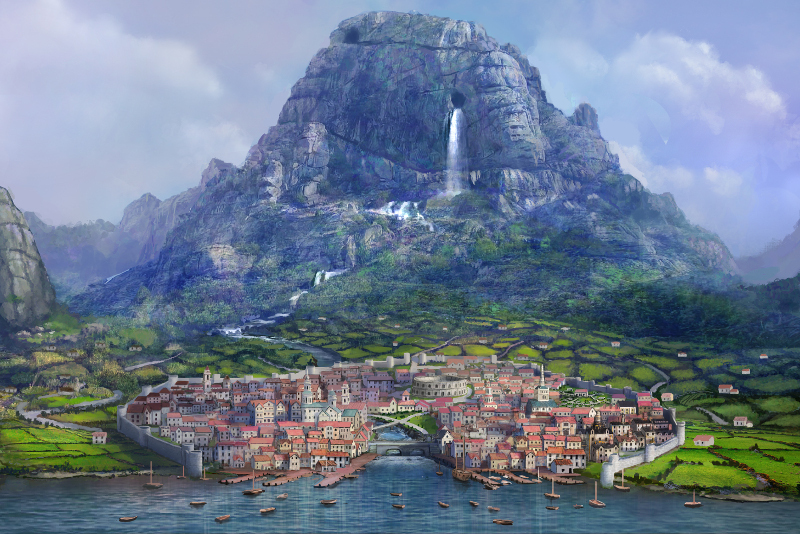 The people of Spyragia belong to eight fantasy races inspired by old folk tales and refreshed with new delights. The 9P role-playing game requires these rules, paper and pencil, and two or more people eager for stories of excitement, challenge and humor. The the game can be played anywhere because core rules do not require dice, maps, or miniatures. (Optional rules for dice, maps, and miniatures are included.) The rules need very few tweaks when used in other settings. The people who take on the role of adventurers do not need to know any of the rules! This makes 9P an excellent introduction to role-playing games, as well as an exceptionally kid-friendly storytelling game. The game is still being developed and experiences frequent additions and occasional revisions. Inspiration to try diceless role-playing came from Amber Diceless by Erick Wujcik. Playtesting thanks go to my wife, to Nathan Brown, and to Andy Crawford. Thanks for other helpful feedback go to D.J. Mckenna, David Berg, Eero Tuovinen, and DinDenver. The name Nine Powers: Tales of Adventure and Daring was suggested by Yasha and catty_big. This work is not public domain, but I will almost certainly grant permission to other game developers wanting to steal from my ideas if they promise to give credit (to this and their other sources). That is how good RPG design works, and what I have endeavored to do! Nine Powers is written by David L. Van Slyke © 2010—2018. Artwork by various people is given credit individually, including linking to the artist's website or blog when that is available. These stories have simple words for young kids to read.